Transparency is more than just some far-off ideal. If you run a modern business, then it’s integral to your future. Unfortunately, traditional expense tracking methodologies leave much to be desired when it comes to establishing openness and accountability. Small business transparency comes in many forms, but as Rachel Craig points out in Digitalist magazine, not all variants work for every company. For instance, even though outward-facing operational transparency can help spread your corporate culture beyond your business, you have to walk a careful balance when fostering internal workplace transparency. Employees perform better when they operate in accommodating corporate environments. If they don’t feel like they need to hide their mistakes for fear of retribution, then they become more willing to make decisions and take profitable chances. With too much transparency, however, they begin to feel like they’re under constant scrutiny and pressure to perform. How do you strike a balance between outright employee surveillance and friendly oversight that provides productive encouragement? Many companies are starting with their expense management practices. Expense management is critical for businesses that want to create open internal cultures where workers take ownership of their actions. By treating every employee who can make spending decisions exactly the same, you engender a wholesome sense of equity and responsibility. With organizations like the Association of Certified Fraud Examiners pointing out that employee dissatisfaction plays a critical role in theft and other forms of fraud, taking the time to cultivate a shared sense of togetherness may be in your best interest. The key is to devise expense management frameworks that deliver the necessary results without imposing unsustainable burdens on your enterprise. For instance, many small businesses take steps like distributing gas cards to their employees to reduce the overhead associated with bookkeeping, tax compliance, security and spending controls. If you’re not careful about the type of payment card you use, however, then you might end up paying exorbitant interest rates or surcharges that limit the budget viability of such methods. Another problem is that traditional expense reimbursement is anything but simple. Even if you can count on your employees to email your accountant photos of each receipt they generate, your accountant still has to organize the information. Although many software tools make this process easier than doing it manually, there’s no denying that it demands time and money that you could probably benefit from spending in other ways. Expense tracking shouldn’t be synonymous with expense reimbursement. In other words, you should be able to keep an eye on what your employees are up to without having to conduct new transactions each time you process a receipt. With Bento for Business, you get to do it all at the pace of modern enterprise. This preloadable debit card tells you when your employees are spending, shows you how much and even breaks down transaction categories so that you know what it’s all for. Because you can reload the card from anywhere, anytime, you also increase your operational efficiency by eliminating the disconnect between your corporate decision-makers and the cash flows that power commonplace business activities. 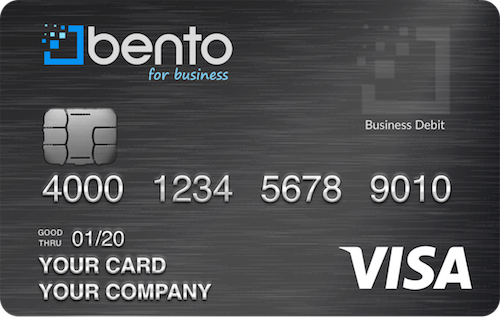 Try Bento for Business free for 60 days or call us at 866.220.8455. 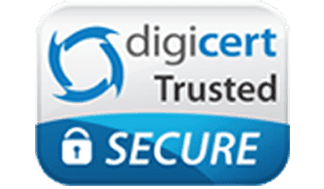 It’s the best way to make your finances more transparent, and with instant approval, no credit risks, and no transaction, annual or chargeback fees, it makes it much simpler to ensure that you’re only spending money on the things you actually need.